These hiking poles are wonderful! 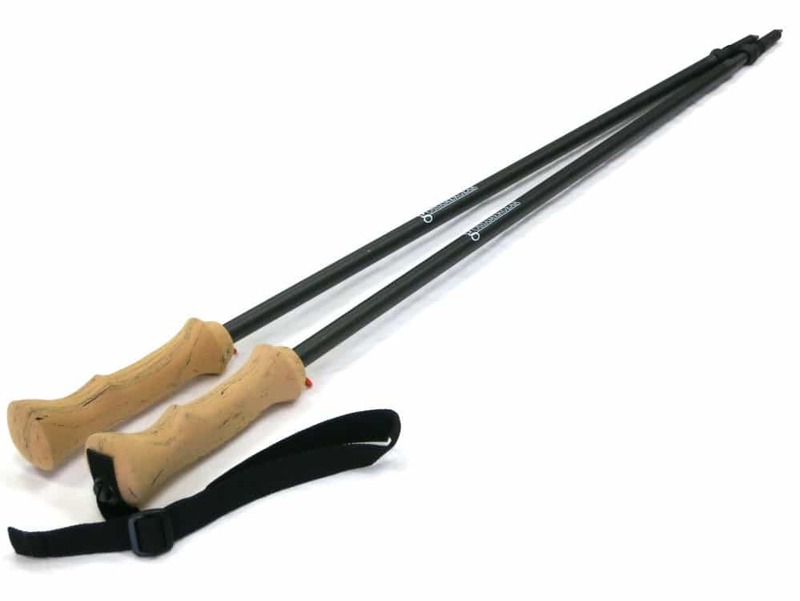 (Pictured poles with & without wrist strap. I make up a strap with a tiny piece of 1mm spectra myself for those occasions you need to carry them, eg across a walk wire). These hiking poles are wonderful. (US$95 ea – Nov 2017). At just over 100 grams each they are about 150 grams lighter (per pole) than Leki (et al) which means for a lot less work using them. I reckon they take 30% plus effort out of walking – particularly over hilly and undulating terrain and they have prevented me from having many nasty falls and possible broken bones, an increasing worry as you get older – and in remote areas. The number of people I have had to have ‘choppered out’ with such injuries over the years would amaze you. Can also be used with this great gadget, the Stick Pic for taking photos: Also check out Tenkara hiking pole accessories here.